Find hotel near Ryan Premises National Hi .. 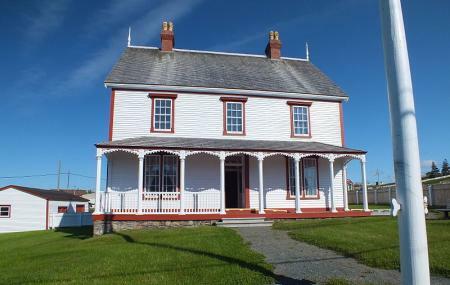 If you are travelling in Newfoundland, Canada, then don’t miss to take a tour of the Ryan Premises National Historic Site. Majorly known as Ryan Premises, this national historic site actually showcases the mammoth economic growth of a single company which excelled doing the business of salt cod and many other products related to fishery industry. It was the company called James Ryan Ltd. which started its business in the year 1857 and got closed in the year 1978. As a public place the place got inaugurated by Queen Elizabeth II in the year 1997. While touring in the Ryan Premises National Historic Site, you can see a retail store, a shop of salt, a fish shop along with a carriage shed. Just a great spot, friendly,helpfull staff. A real taste of local culture and views of days past. Historic site on the history of Bonavista. Many of the displays were not working. More films, interactive displays would help. Good historical site to visit. Don't expect too much. To Go place if you want to know the history of Bonavista! Lovely set of interesting buildings with displays. The house has one room of furnishings. The two museum buildings have excellent explanations and displays. Upstairs is an eclectic display if period items. Well done!